A global consulting firm serving many of the top Fortune 1000, Towers Watson has more than 14,000 employees in 150 worldwide offices. The company engaged Atos to help refresh workstations, update the operating systems used by employees and assume responsibility for ongoing PC management. Together, Atos and Towers Watson decided to activate Intel® vPro™ technology in PCs to capitalize on robust remote management capabilities. Using Intel vPro technology, Atos has improved response times for incidents and service requests and reduced the costs of providing outstanding global support. In 2011, Towers Watson initiated a plan to refresh more than 18,000 client systems and migrate to the Windows* 7 operating system. Atos won the bid to provide Workplace Services—service desk, on-site and cross-functional services— and Application Management for Towers Watson and, in late 2011, began performing the workstation refresh and Windows 7 deployment in 38 countries around the world. When the refresh and OS update project concluded in 2012, Atos implemented its global on-site services model to support the client systems. 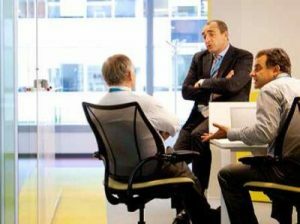 In several countries, Atos contracted with global partners to provide local support for Towers Watson offices. Your employees’ workplace expectations have changed forever, thanks to their personal digital lifestyles. Ensuring that your application strategy is in tune with your business objectives.